kuznianaklejek.pl > Fototapety>Kolekcje>POPART>Color matching palette. 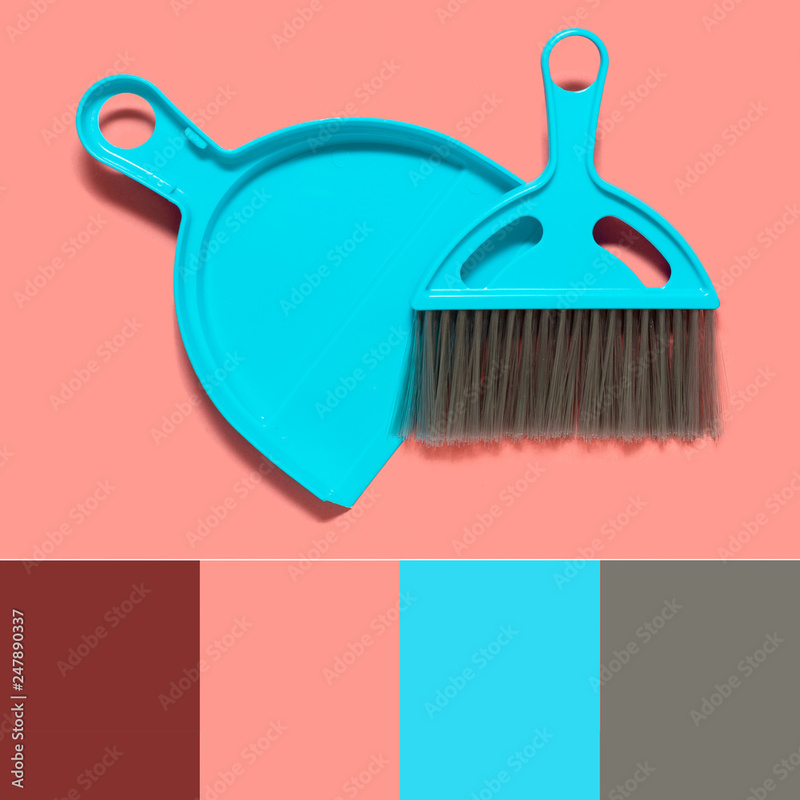 A pale blue dustpan and brush lying on living coral background. In the style of pop art. Top view. Copy space. Color matching palette. A pale blue dustpan and brush lying on living coral background. In the style of pop art. Top view. Copy space.